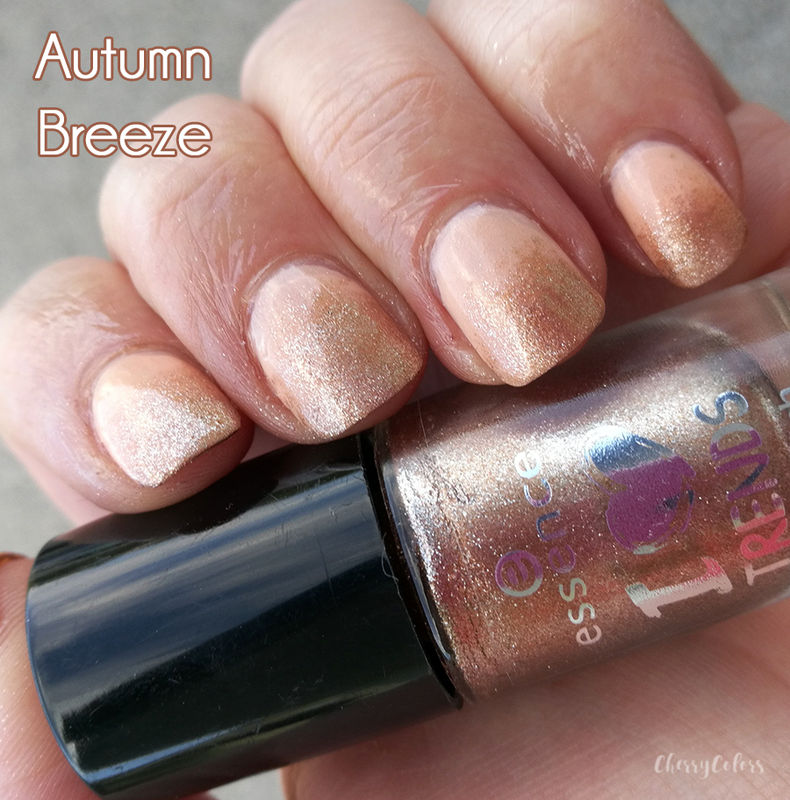 Autumn Breeze Nails - Cherry Colors - Cosmetics Heaven! Since it's been a while since I shared my last manicure, I took the time last weekend to create a simple autumn manicure. The idea was found somewhere online, but I think the colors were a bit bolder. Here's my version using just two nail polishes creating a simple gradient. Autumn has come with its full force and now that it's colder outside it's easier to dry my nails. 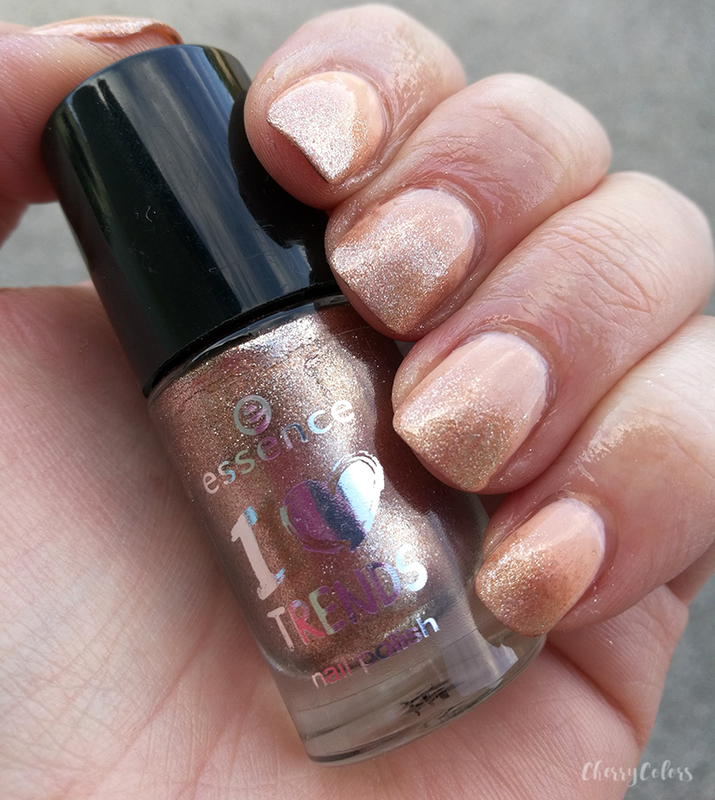 I used Catrice Apricot Epoch and Essence Do you hear the jingle bells?. 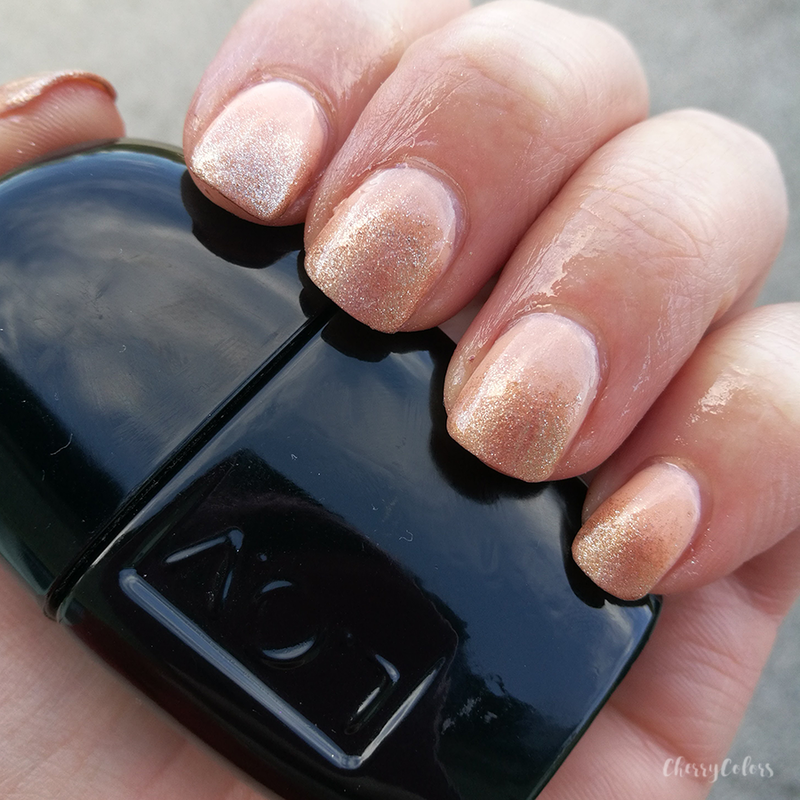 The Catrice polish was used as a base - 2 layers to get a nice opacity. After that, I sponged the gradient with the bronze glittery polish. To top everything off, I used L.O.V. top coat in two layers. The manicure is subtle enough for an everyday wear and I'm curious how long it will last on my nails. Lately, every nail polish has lasted me for about two weeks! 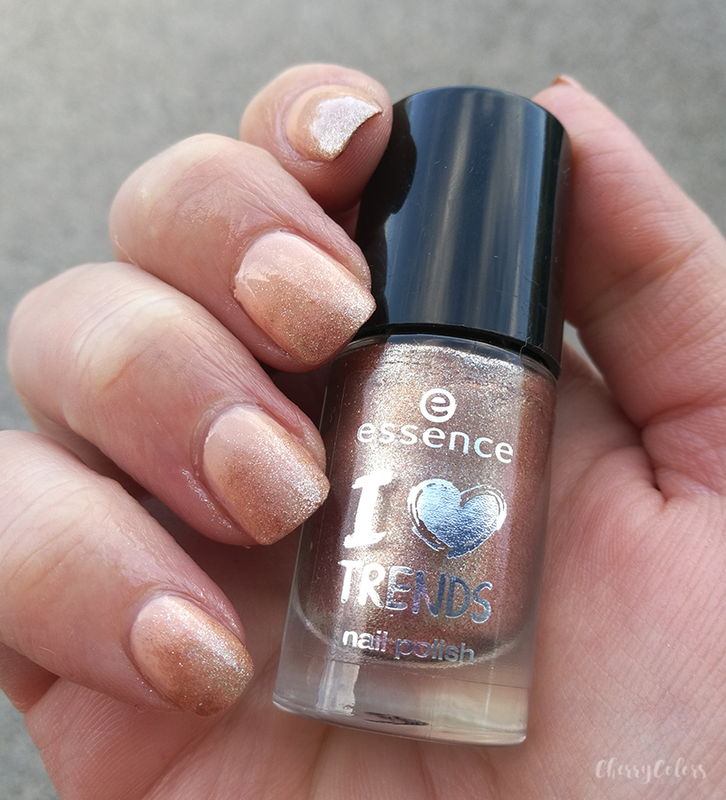 What are you currently wearing on your nails? Let me know in the comments below!